In 2014, Time Magazine had this to say about the “Time Person of the Year” runnerup Mr. Barzani and “Kurdistan”. When ISIS threw the Middle East jigsaw puzzle into the air, the Kurdish leader reached for a piece. What does it say that the most reliable U.S. ally in its campaign against ISIS is an imaginary country? 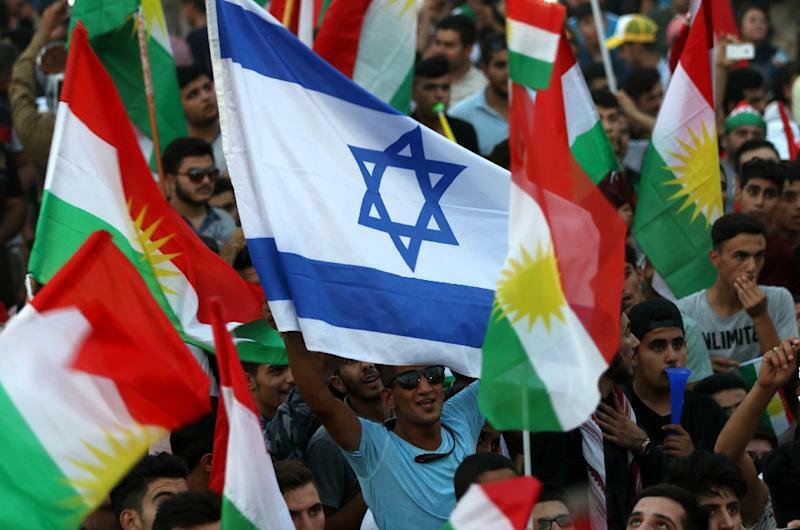 Kurdistan—Land of the Kurds—exists only in two spheres. One is on maps sold in bazaars wherever the Kurdish language is spoken. The other is on yellow-red-and-green flags Kurds sometimes wave in the countries where they actually reside (according to maps sold everywhere else in the world). Yet in one of those countries, the Kurds have built themselves a state in all but name. Far to the north of Baghdad, where Iraq’s deserts rise into stony foothills and then into mountains, the Kurdistan Regional Government holds sway”. Statement by the Press Secretary on the Kurdistan Regional Government Proposed Referendum: “The United States does not support the Kurdistan Regional Government’s intention to hold a referendum later this month. The United States has repeatedly emphasized to the leaders of the KRG that the referendum is distracting from efforts to defeat ISIS (Daesh) and stabilize the liberated areas. 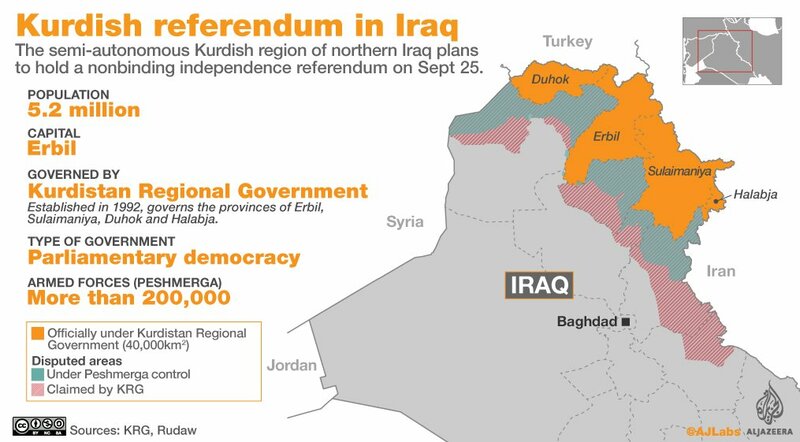 Holding the referendum in disputed areas is particularly provocative and destabilizing. We, therefore, call on the Kurdistan Regional Government to call off the referendum and enter into serious and sustained dialogue with Baghdad, which the United States has repeatedly indicated it is prepared to facilitate”.